OÜ Dormikor has been in business since 1995. Our goal is to offer everything that a company that produces or repairs electronics, an electronic enthusiast or an everyday user needs. At this moment, we have over 30 people working at Oomipood. 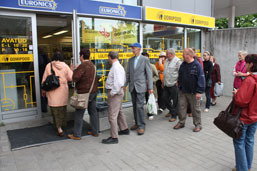 The idea of founding Oomipood came from the complexity of purchasing radio details in the beginning of Estonian re-independence. The nearest place to find components was the Leningrad flea market. Since the founders of Oomipood were electronic enthusiasts, they knew exactly what components were in shortage. 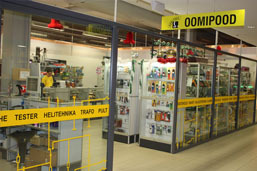 Oomipood started operation in a small wooden house in the Center of Tallinn – on the same location where SEB headquarters are towering today. In 1997 we moved to the Estonian Radio office building on Gonsiori street. It was a small 20m² room, which housed about three clients in addition to the seller. 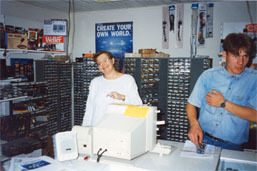 In 1998 we had an opportunity to rent larger rooms, where we operated until 2012. 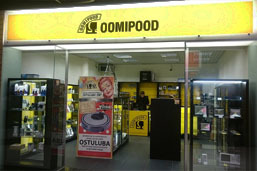 Constantly improving our assortment, we have gained a good reputation among electronic enthusiast – „If you can’t find it anywhere, go to Oomipood and you will find it“. You can find the biggest selection of products from our e-shop. In addition to the products we have in stock, there is a possibility of ordering products from different catalogues. Alltogether, we have over a half of million products available.